New York, NY � May 6, 2014 � ID Security Online, a leading provider of ID card printers and photo ID systems, announced today the launch of a brand new line of Proximity cards called QuickShip. These cards offer a faster alternative to HID cards as they are programmed and ready to ship within 2 business days. 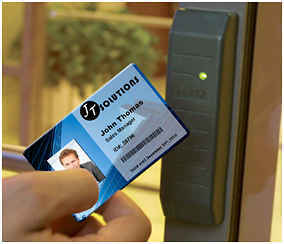 Durable and secure, proximity cards have quickly become a premier choice for access control applications. Proximity cards are custom programmed with a facility code and a serial number to control users� access rights. HID Proximity cards are widely used in the security industry but are typically ready to ship in 6-10 business days. ID Security Online has designed a new line of proximity cards called QuickShip to provide a faster way to get high-quality Proximity cards. QuickShip cards offer the exact same features as HID cards - same size, card type, programming options and full compatibility with HID readers � but ship within 2 business days. ID Security Online drastically reduces customers' wait times by programming its QuickShip cards onsite. All QuickShip cards are printable and can therefore be personalized to serve as a visual ID as well. QuickShip cards come in standard PVC or composite polyester/PVC construction. QuickShip cards with a magnetic stripe are also available to combine proximity and magnetic stripe technology in a single photo ID badge. For more information, call ID Security Online at 1-800-897-7024 or visit ID Security Online�s QuickShip page.